"Sure," The Goblin thought, "I'll go to the cinema. It's been a long August maybe I can sleep." Spike Lee wouldn't let her sleep. At first glance Blackkklansman is a Hollywood film; an inspirational story about one man who not only takes on the institutional racism of the police force but also White Supremacy at a national level in the guise of the KKK. It's beautiful, classical cinematography combined with bold editing choices which remind you of Lee's own love and understanding of the medium. The criticism of the film is deserved. That it preaches to the choir giving it's liberal white audiences too much space to disassociate with the idiot white supremacists and too many sympathetic white avatars. Boots Riley's condemnation of it. That heroising Ron Stalworth, glossing over the years he spent undercover undermining black activist groups and attempting to lionise even an African American cop in the current fight against police violence, is not only misguided but reprehensible. And while the Goblin felt some of this while watching the film and on subsequent reading of it's critical reception, there is a strange and unsubtle shift in tone in the final scenes which seem to attempt to highlight the farcical nature of everything happening; the cartoonish comeuppance of the one 'bad white cop', the final phone call to the Grand Wizard making him look like a fool are rushed through to be followed by the real and visceral footage of the Charlottesville marches and rallies, culminating in the death of Heather Heyer. It almost feels like a cynical and sudden acceptance of activist Patrice's speech decrying Stalworth's attempt to incite change from inside the institution. That fighting the system, be it Hollywood or the police force, from the inside is ultimately futile. The Goblin could not have articulated this at the time because she was too busy crying. Watching the images of the cars driving into the crowds and knowing that you're watching someone die was quite affecting to say the least. And still there were powerful moments in it, few less than Harry Belafonte teaching Birth of a Nation as an early example of the power of the media to incite racial hatred, while remembering not that long ago only being taught it as an early example of classic narrative cinema. Deborah Haywood wouldn't let her sleep either. 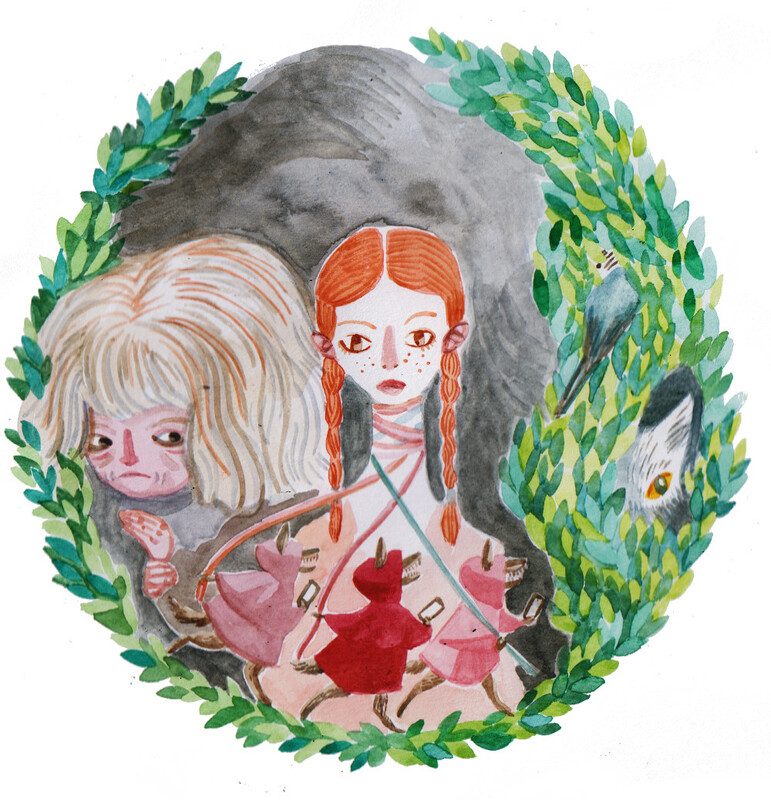 In Pin Cushion she wrote a fairy tale about the making of two witches. The old witch in the wood and the young witch banished from the kingdom. It is a world of female cruelty: your currency is your sexuality...be desirable but not promiscuous. Be beautiful but not more beautiful than the queen. And if you are meek, ugly and kind you will be ostracised and eventually destroyed. The old witch will sacrifice herself for the young witch's freedom but no one will feel liberated. "This is a film without adults." Joanna Scanlan says, quoting Haywood in a Q & A after the screening. The Goblin feels recently that we're all living in a world without adults at the moment. She still can't sleep.